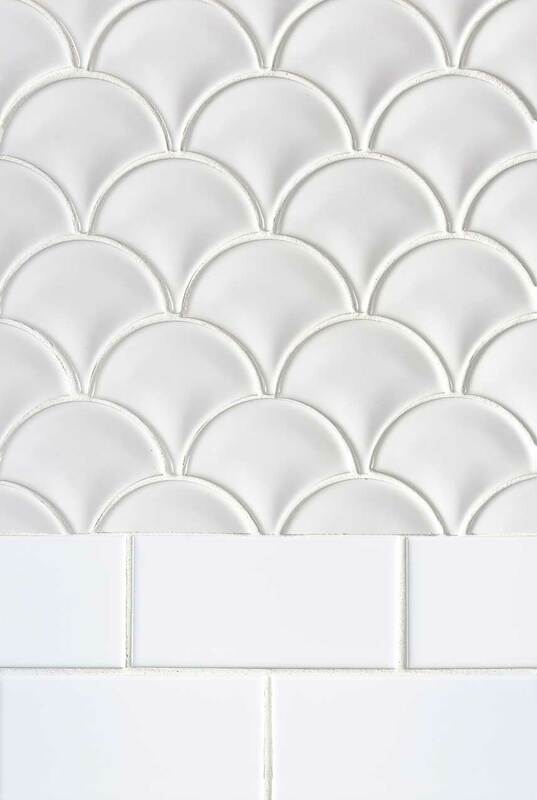 White Fish Scale backsplash tiles and White Subway Tile come together beautifully in this inspired kitchen backsplash tile design. The glossy finish reflects light beautifully and the true white tone lends a timeless thread to this updated classic pattern. It coordinates effortlessly with a wide range of countertops and floor tiles in our inventory.